Figure 4-15. Crack originating from hole burned in wheel. Home > Transportation Reference and Training Manuals > > Figure 4-15. Crack originating from hole burned in wheel. Figure 4-14(1). Cracked or broken plate. Figure 4-16. 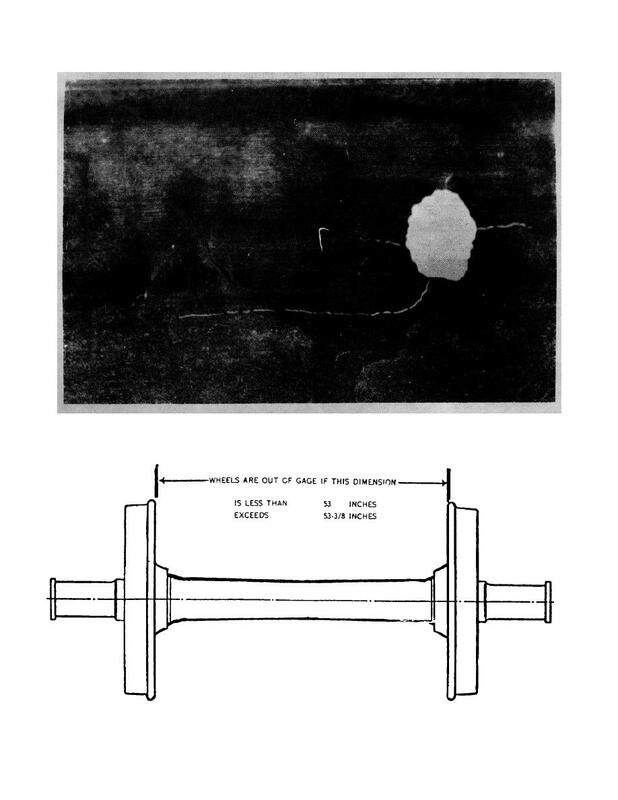 Method of gaging wheels.